Like the camera sitting on the face of every single leaked iPhone HD hasn’t been proof enough, or like the references to video chat in the beta SDKs didn’t mean anything, now we have even more proof that there will be video chat capabilities in the upcoming iPhone HD (or whatever it will be called). Right now, filming is underway for the new iPhone commercials (directed by Sam Mendes, of American Beauty fame), and Engadget have it on good authority that one scene will feature a mother and daughter video-chatting to each other using their next-gen iPhones. Aw, how sweet. Of course, don’t expect any official confirmation before June 7th, but I think this one’s a pretty safe bet. 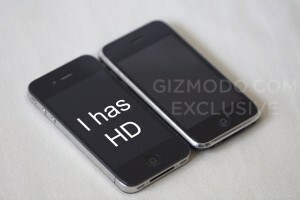 The new iPhone HD will capture video in… HD! Well, this one isn’t really surprising now, is it? Mac Rumors have unearthed evidence in the latest iPhone 4.0 beta SDK that points pretty clearly to 720p video recording. Y’see, the latest iPhone SDK allows full access to video capture data, and there are some preset values in the SDK that explicitly mention a 1280×720 video resolution. It’s pretty clear cut evidence, so you could almost bet the house that the next iPhone is gonna have HD video recording. Given that the most prevalent of rumoured names for the upcoming iPhone is “iPhone HD” this really comes as little surprise. Still, it’s good to have some kind of confirmation of a much-wanted feature before we get the official announcement on June 7. Visa wants to turn your iPhone into a credit card. This morning, Visa and DeviceFidelity Inc., issued a joint press release annoucing that they’d built — and received Apple’s much-coveted blessing in the form of accessory certification — an iPhone case that acts as a tap-to-pay Visa credit card. Oddly, the press release has since been pulled from almost all of the sites it was published on, though we’re not sure why. Details in the release indicate that it might not have been intended for release until tomorrow, so it was presumably just a scheduling mistake. We’ve got the full text of the release below. Just as we’d originally envisioned, the Visa case connects with an application on the handset to allow it to be password-protected. Password protection or not, you’ll still want to watch this thing like a hawk. Market trials of the iPhone case should begin some time this summer, though it’s not clear just how limited they’ll be. If it’s not open to anyone who asks, we’ll let you know as soon as we hear any ways to wiggle into the trial. Visa Inc. and DeviceFidelity, Inc. are working to allow Apple iPhone(TM) users to make payments by simply waving their iPhone in front of a contactless payment terminal. The new technology, developed by DeviceFidelity and certified by Apple, combines a protective iPhone case with a secure memory card that hosts Visa’s contactless payment application, called Visa payWave. The technology will work for both iPhone 3GS and iPhone 3G devices. iPhone users will be able to make Visa mobile payments in retail stores, at fast food restaurants, in taxis, during sporting events (such as at baseball games), and also make purchases at vending machines that have contactless payment terminals. Thousands of merchants throughout the U.S. have already upgraded their payment terminals to allow consumers to make Visa mobile payments. The technology will also work with a majority of smart phones that have a slot for a memory card. By simply inserting the card into the memory slot on their phone, mobile users can transform their existing mobile phones into a Visa payment device. Visa has already rolled out a similar technology in Malaysia and Japan, where consumers can make mobile payments in stores and restaurants. The mobile payment application can be password protected and utilizes advanced security technology to uniquely identify each contactless transaction.. In addition, all Visa mobile payments are backed by Visa’s global processing network and analyzed for potential fraud in real-time. If a mobile device is lost or stolen, account holders should contact their issuer, as they would if their card was lost or stolen. The issuer can immediately deactivate the account. 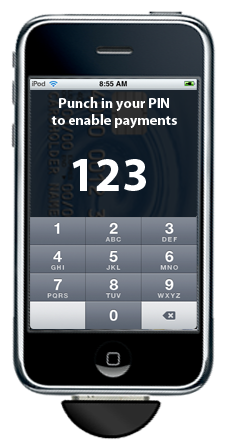 Market trials of the payment-enabled iPhone are scheduled to start this summer. * Amitaabh Malhotra, COO of DeviceFidelity. 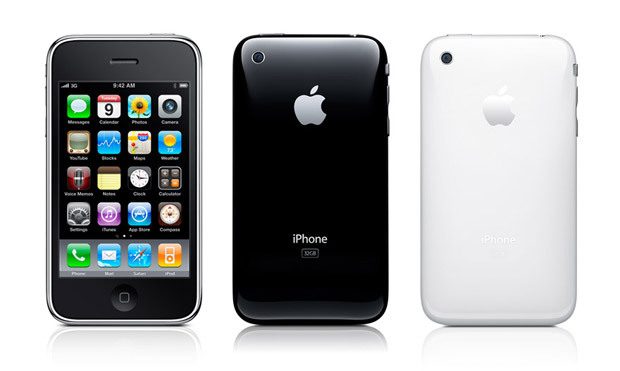 Apple lost the next iPhone which they had cleverly disguised to look like an iPhone 3GS. We got our hands on it and shared all the details with you, including a dissection. In the meantime, our servers melted and our tech team worked overtime. In the end, Apple asked to get their phone back and we returned it. I am very aware of build quality when I buy stuff. For example a new car, a new jacket, new shoes, and so on. I love when stuff feels expencive, exclusive, solid, and well built. Therefor I love the iPhone. It feels well built, it feels solid, it feels exclusive. There is no wobbly parts, no covers that feels loose. The front is one big peice of glass, the back is sleek, glossy plastic and the whole thing just feels right. I’ve had my share of phones and the iPhone is by far the terminal that has the highest quality score of the all. This does not so much concern the phone itself, but the tons of accessories that has been made for this unit. When you see a person yapping on their iPhone, you can bet your shorts he / she has spend some amount of money on accessories. Why is that you ask? The answer is simple… because its made tons of it. Everything from docks, skins, covers, headsets, FM-transmitters, carkits, docks you can put in your hot-tub, and the list goes on. Third-party iPhone accessories is big business, really big business, and thats great. Because it enables the consumer to customize their phone to their liking. I for instance, have a Paul Frank cover and earphones from Creative, and all this allows me as consumer to get the most out of my user experience. 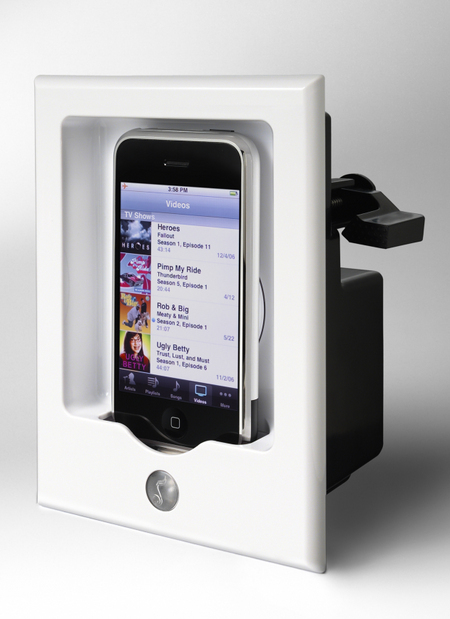 How about an iPhone Wall Dock? 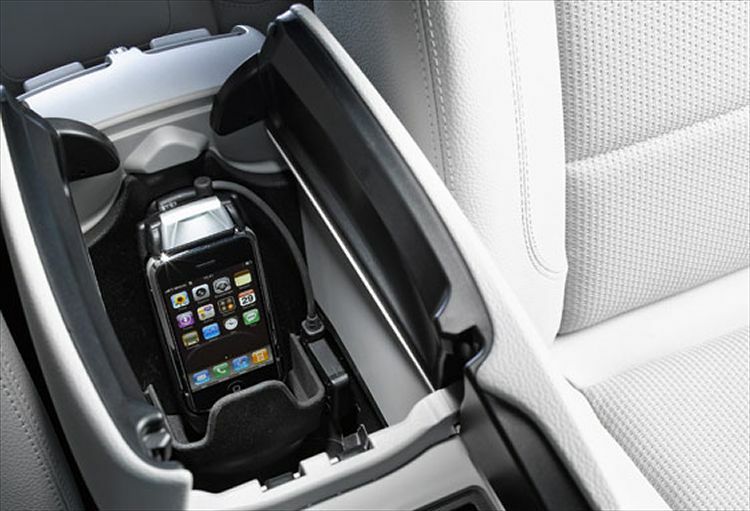 Put the iPhone in your car? And there you have it. Yeat ANOTHER reason the iPhone is, and still will be the best. Comment or email me if you want to prove me wrong! This is the new iPhone! Holy f%¤#, some guy over at Apple actually lost his prototype iPhone in a bar! The sneak peak event on iPhone OS 4.0 is now over. Steve Jobs was on stage and he promised tons of new stuff for the next-gen iPhone OS. There’s multi-tasking, app folders, social gaming plus so much more. As you’ll see from this slide there are many new interesting features, but in their presentation Apple decided to concentrate on the “7 tentpole ones” – as they call them. Multi-tasking on the iPhone – well, how about that! 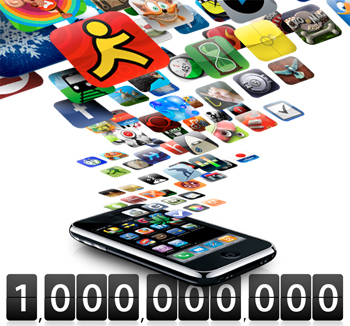 It took them 3 years and three (almost four) generations of iPhones to come to that. They know they’re late but Steve Jobs is promising their implementation is the best so far. And multi-tasking won’t slow down or drain the battery. The way they do it on the front-end is simple. Double tap the hardware key and the task switcher appears as a dock below whatever app is running. Oops, there goes our only shortcut key. On the back-end things are different. Instead of keeping all apps running in the background, they allow apps that need multi-tasking access to 7 background services. So it’s actually the services that run in the background – not the actual apps. The background services seem more than enough to cater for the needs of various applications. They include background audio, VoIP, background location, push notifications, newly implemented local notifications, task completion and fast app switching service that takes care of returning apps to you in the way you left them even though they DIDN’T actually run in-between. The new local notifications will allow scheduled alerts such as one from a To-Do app. Finally! Next up are folders. But not the file system variety. No, sir! You’re not getting a file manager on the iPhone just yet. The new iPhone Folders will do what the Categories app does for jailbroken phones. It allows grouping of applications into meaningful categories (such as Zombie Games, for instance) so you don’t have to flick through all your homescreens for some blood-splatting action. The Email app on the iPhone now will offer a common inbox for all email accounts setup on the phone. No more flicking back and forth. And corporate users will be glad they can have more than one Exchange account setup. Fast inbox switching is also available now along with threaded email conversations. And you can also open attachments with an application you’ve downloaded from the AppStore. The iBooks e-book reader you’ve probably seen demoed on the iPad will now be available to the iPhone as well along with the iBookStore and free copy of Winnie The Pooh (not kidding!). Targeting the enterprise clients, Apple has introduced a bunch of new stuff such as better data protection (email encryption with your PIN code), Exchange Server 2010 support, SSL VPN support, mobile device management and wireless corporate app distribution. With iPhone OS 4.0 gaming will get a new social networking aspect bringing it up to speed to the Windows Phone 7’s Xbox Live interconnectivity. With the new Game center you’ll be able to invite friends for online multiplay, you’ll be able to post scores in Leaderboards and unlock Achievements. The final “tentpole” of the new iPhone OS is a new mobile advertising system for the iPhone, iPad and the iPod touch that called iAd. iAd will allows developers to integrate ads into their apps so that they can possibly release free, ad-sponsored versions of their apps. With iAd users will be able to click on advertisements and check them out (even video content) from within the application they originally saw them in. 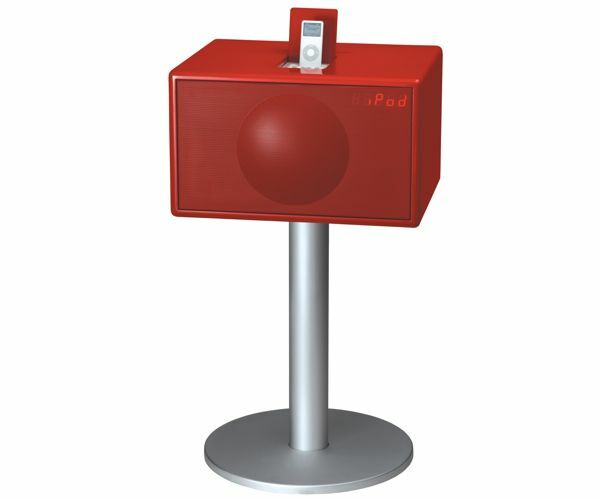 Apple will be selling the iAds and will host them as well. In return they’ll be getting 40% of what the advertiser is paying. Developers get the rest. As of iPhone OS 4.0, users will be able to add a wallpaper image to the springboard itself. It’s something jailbroken iPhones have had for years, but it’s nice to have it out of the box as they do on the iPad. As we already said, there are lots of other new things such as Bluetooth keyboard support, search in SMS/MMS, tap-to-focus in video recording, Places in photos sourced from the geotagging information, web search suggestions, recent web searches list, photo rotation, workout uploads to Nike+, gift apps, etc. The new iPhone OS 4.0 will be available this summer (along with the new iPhone we presume) but they’re issuing a developer’s preview today so we should hear a lot more about those new features in detail in the coming months. The iPhone OS 4.0 will be available to the iPhone 3G and 3GS as an update. However many of the new features, INCLUDING multi-tasking won’t work on the iPhone 3G. 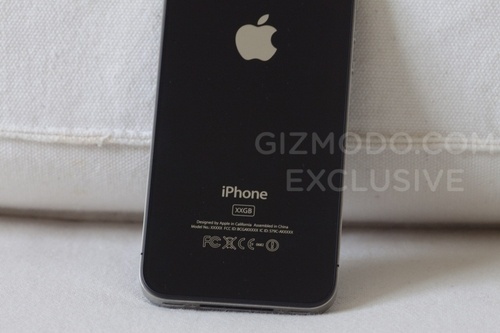 There’s no word about the iPhone 2G yet. And since the iPad is a hot topic right now – yes, it’s also getting an update to iPhone OS 4.0 – however later on – in the fall.